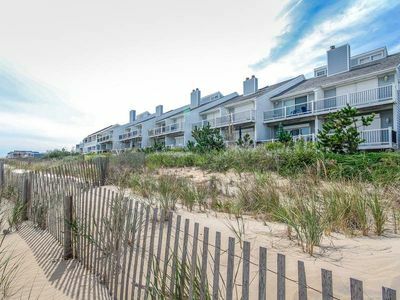 Please expand the description for answers to frequently asked questions and other important information about the property. 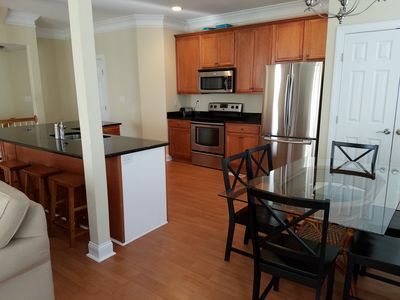 Are you looking to spend your next vacation in a spacious rental with many of the amenities of home? 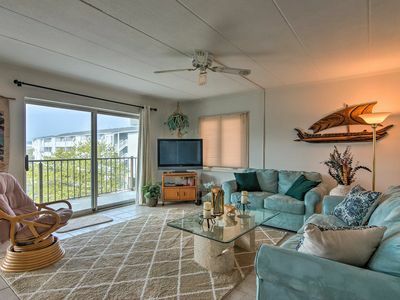 This 4-story end unit townhome can accommodate large groups up to 14 people and provides easy access to the beach. 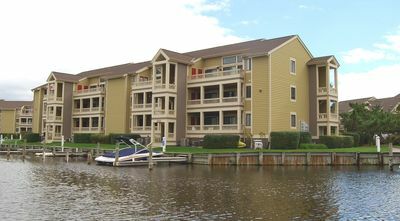 The building is not ocean front, but it is on the ocean block of Coastal Highway near 60th Street a few hundred feet from the beach. 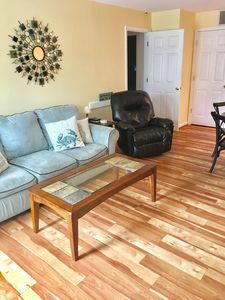 We are only allowed to feature one unit per listing, but we do own all rentals at this location if you need additional units. 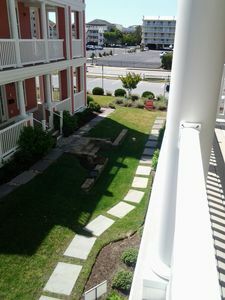 Unit 1 South has granite countertops, stainless steel appliances, washer & dryer, private enclosed 2 car garage, exterior car port behind the unit for a 3rd car, several balconies and a wrap around deck. If you need more parking, there is free parking along 60th street near the building. 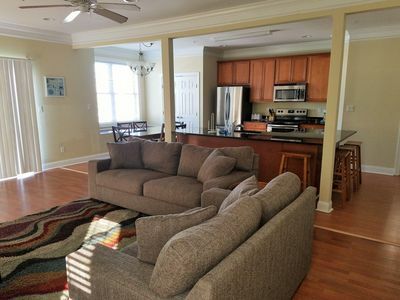 4th Floor – 1 bedroom w/queen size bed and private full bath w/tub and shower combo, 1 bedroom with 2 full beds and private full bath w/walk in shower. 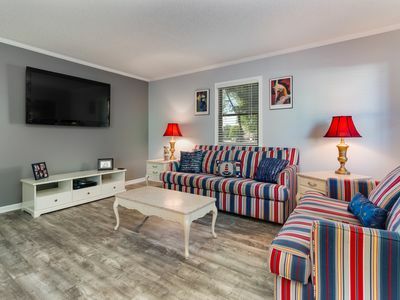 PLEASE INQUIRE FOR EXACT PRICING – instant quotes are not always accurate, so it is best to get a quote directly from the property manager before making a payment. 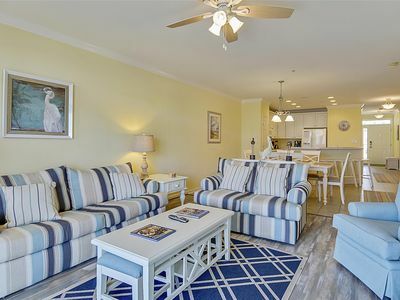 The property manager can send you a pre-approval to book with the correct pricing that you can use to book the property and make a payment. Check In/Out Time – You can check in any time after 3pm. Please note we are not able to accommodate early check ins in the summer. 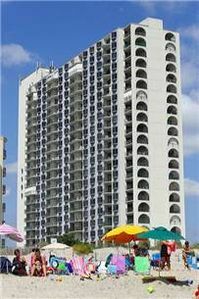 An early check in may be possible in the offseason, but it needs to be confirmed with the property manager. Check out is at 10 am. The unit has an electronic lock, so you do not need to go anywhere to pick up keys. A detailed list of items to bring is included in the check in information file sent after the final balance is paid. The file will also have the lock code and access instructions, parking instructions, wifi, etc. Linens – We do not provide sheets or towels, so you will need to bring your own or rent them from a company in town. The check in file will have contact information for a linen rental company. 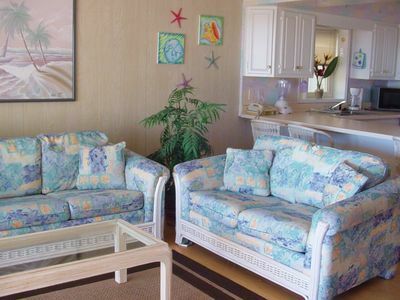 With the exception of the sofa beds, each bed has a bedspread and pillows are provided. 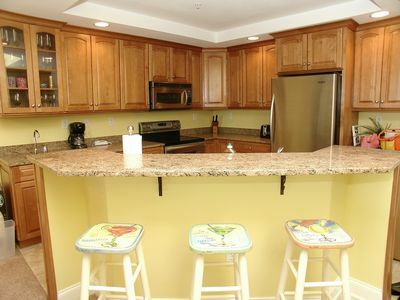 Kitchen – The kitchen has basic supplies such cups, plates, bowls, utensils, etc. There is a toaster and a standard coffee maker. You should bring anything along that is critical to what you will be cooking since there is only a small set of pots and pans. 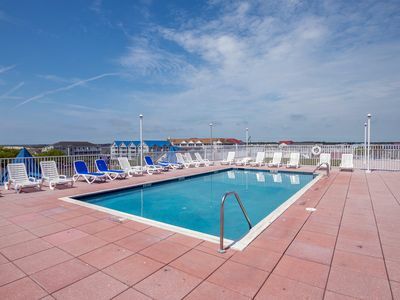 The unit is conveniently located in central Ocean City providing groups with quick access to attractions in both southern and northern Ocean City. Close attractions include Fager's Island (across the street on the bayside), Seacrets (Ocean City’s most popular nightlife destination is a 4 minute drive or 15 minute walk), Mackeys Bayside Bar & Grill, The Bonfire (buffet), Dead Freddies Island Grill, Dumsers Dairyland (world famous ice cream), several mini golf courses, the Ocean City Convention Center and Ocean City Tennis Center. 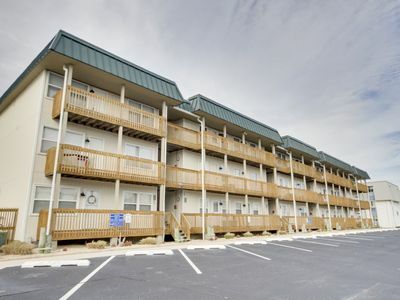 The boardwalk and Jolly Rogers Theme park are a short drive away. Those who don't want to walk or drive to their destination can take the bus since the bus stop is a short distance from the townhouse. There is also a 7-11 and gas station across the street for your convenience. Please inquire today if you are interested in making a reservation. Our property manager, Ashley Smith, will be happy to assist you with your reservation and any questions you may have. 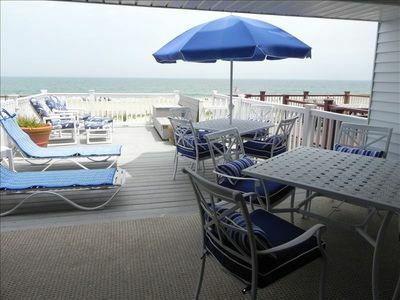 Beautiful and spacious townhouse located on the boardwalk with a pool! 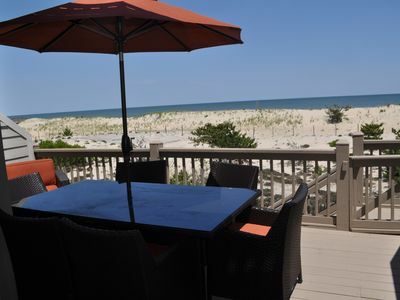 F06ST: 4BR Home in Seatowne - 1 Block to the State Park Beach - Free Sunsets! 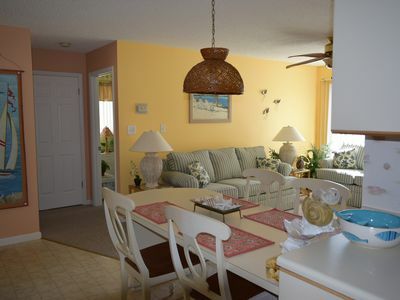 Quiet Relaxation in North Ocean Easy Walk to the Beach & Amenities! 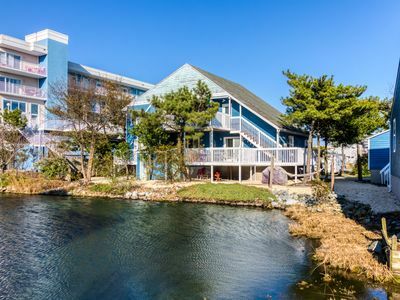 Updated Ocean City Condo - Just 60 Steps to Beach! 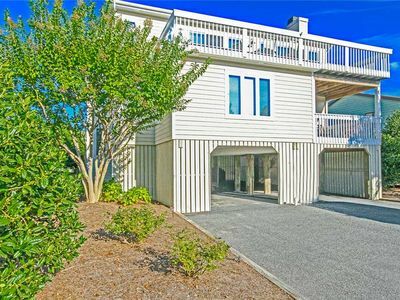 F06SV: 4BR OCEANFRONT TH in Seaside Villas, Fenwick Island! 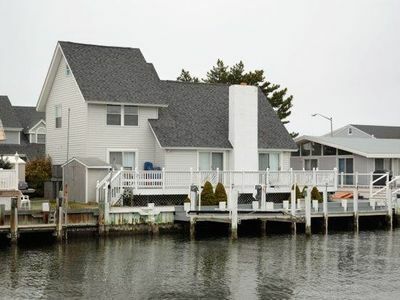 Fenwick Island, Delaware 19944 5 Bedroom Fenwick Island Ocean Block Home. 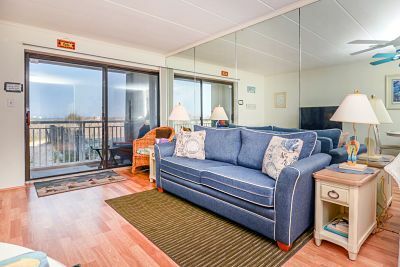 Two bay view apartments w/ furnished decks & free WiFi - two blocks to beach!